I don't know if it is the fact that I am less than 1 month away from my 30 birthday, but I keep finding myself with self help books in my hands, and I don't hate it. I just finished reading "You Are a Badass at Making Money" & while I am still trying to figure out how a teacher can make some of those tips work, I do love how the author is a huge believer in the power of positivity, spreading love & being passionate all in the process of shaking your money maker (figuratively, not literally). 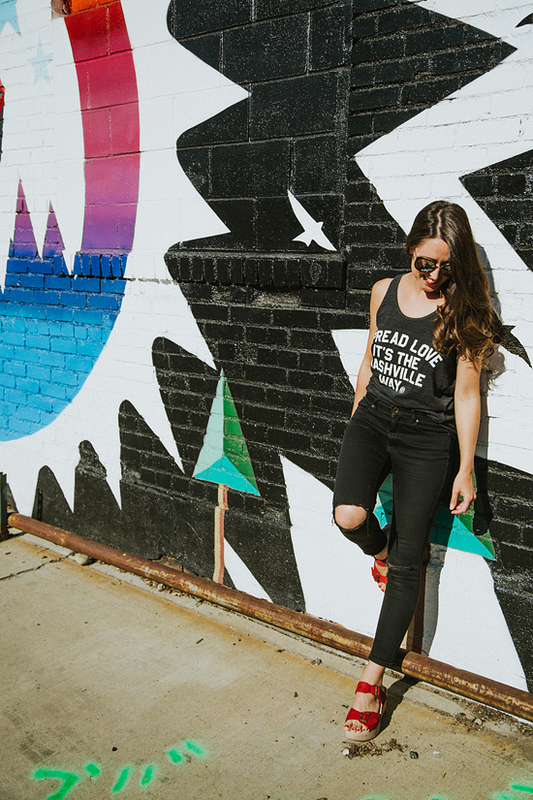 We also just listed to the "Subtle Art of Not Giving A F*CK" on our road trip from Denver to Arkansas, & I realized that most of the negativity in my life comes from focusing on what others are saying, and putting myself into arguments that I don't realllllly care about, because I am a stubborn, head strong person who always thought that was what I was supposed to do. So as I approach this new decade in my life, I want to re-train myself to spread love all around me, & focus on the positive - there is so much amazing around, if you just stop to look for it! It just so happens that when we were in Nashville at the beginning of June, I finally got my hands on a Project615 shirt, & the message on this one just spoke to me - although the one about Dolly Parton being my spirit animal was a close second! If you haven't heard about Project615, let me tell you a little bit, because they are certainly spreading love all around them! 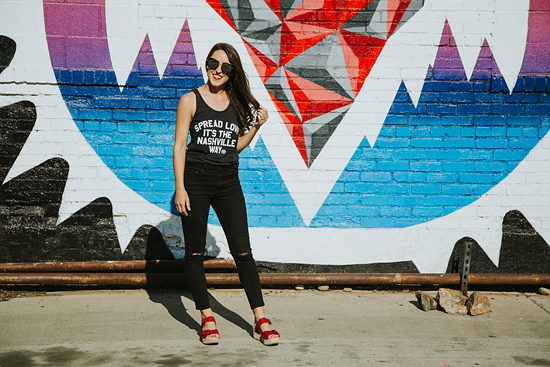 Project615 is a philanthropic apparel company based in Nashville, TN (the area code there is 615) & they employ men coming out of homelessness, addiction and mental illness, while also fundraising for wold changing organizations. 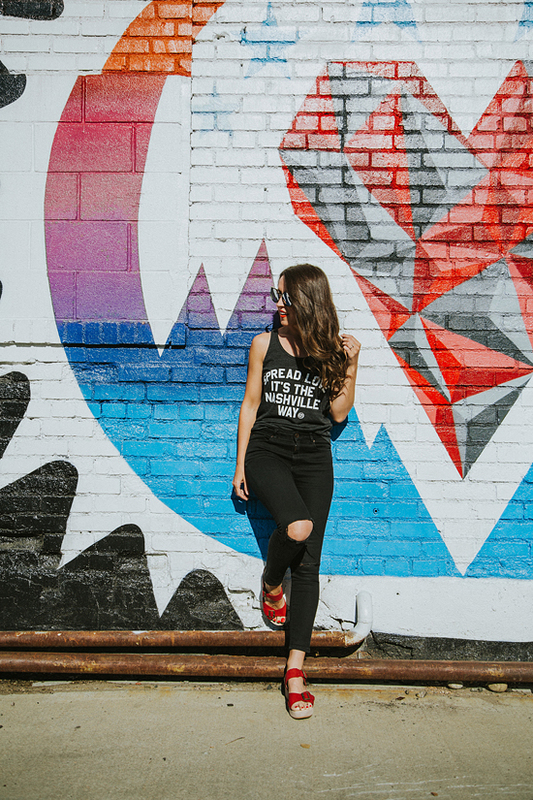 I love this statement of their mission: "At Project 615, we are more than just a t-shirt brand. We are on a mission to rehabilitate & help transform the lives of others who have been impacted by addiction, homelessness & mental illness. We believe that true rehabilitation not only comes from having people to walk alongside us through life. It also comes with having a sense of responsibility and dignity. We offer a second chance to others because God has given us a second chance." Simply put, your purchase from Project615 helps change lives. 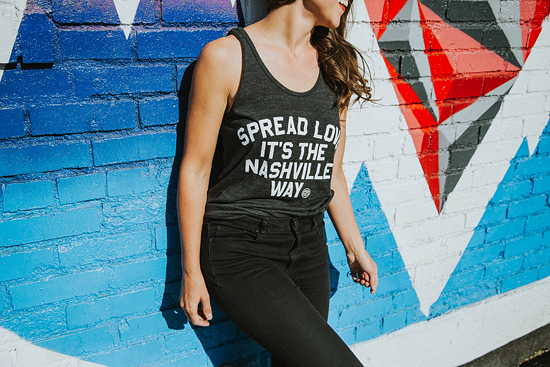 Spread love people - it is the Nashville way! In my first year of teaching there was a fellow teacher who showed up everyday looking so professionally stylish in her Dansko clogs & Lilly Pulitzer dresses that I just had to get my hands on a pair of those clogs for myself (a total Mean Girls moment, thank goodness it wasn't flip flops & camo pants). I first coveted the shoes for how they looked, but was blown away by their amazing comfort & support. 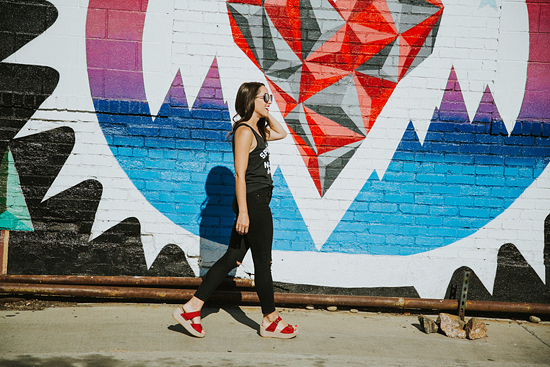 I didn't even realize how much my go-to ballet flats were ruining my feet until I stepped into my Dansko clogs - supportive of my arches, and like walking on a cloud! I now have two pairs (black & brown) so that I can literally wear them everyday, & am a true Dansko believer. I honestly didn't know how many styles of shoes they made, including these cute sandals, so below is my wish list for future pairs! Nordstrom Sale Season: Best of!